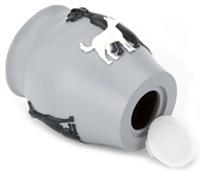 The Shildon is a unique, modern dog ashes urn made from resin with a smooth pastel finish. 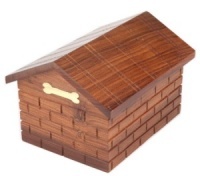 It is beautifully decorated with embossed dogs and decorative paw prints. 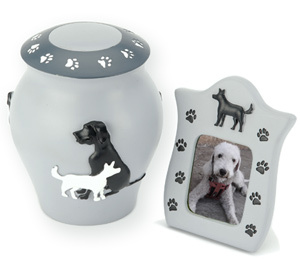 This dog urn comes with a matching photo frame (4" x 5.3" x 0.2"). Cremation ashes can be safely placed in the urn via a secure stopper opening on the base of the urn. 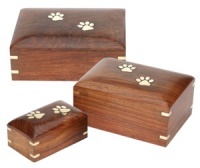 Urn size: 5" x 5" x 6"
Capacity: 36 cubic inches - suitable for ashes remains of a pet body weight approx 36 lbs or 16kg (suitable for small/medium dogs).